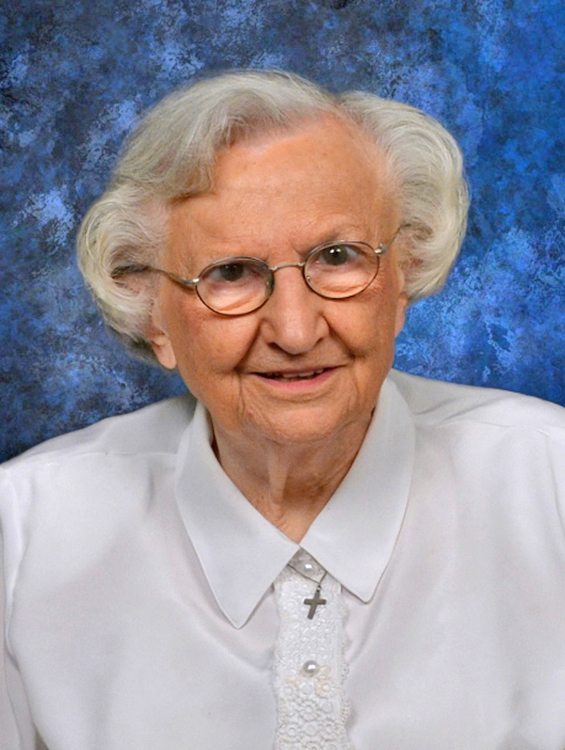 Precious Blood Sister M. Barbara Agnew, 91, died Oct. 8 in Englewood, Ohio. She had been a Sister of the Precious Blood for 67 years. Born on April 10, 1925 in Dayton, Mary Barbara was the older of two children to Walter I. and Marie K. (Weiser) Agnew., She formally entered the congregation on Feb. 2, 1949 at the age of 23 and was given the name of Sister Mary Madeleva; she later returned to using her baptismal name. After teaching in schools in Ohio, Sister Barbara came to Villanova University to minister in the Theology Department in teaching, writing and doing research as a theologian and faculty member. She wrote numerous articles in various publications and delivered numerous papers on various aspects of theology. She loved to read many kinds of newspapers and journals and discuss with others topics of theology and church issues. After her retirement in 1999 Sister Barbara ministered in parish faith formation, literacy training in city prisons and working in a residence of formerly homeless men and women. She continued her retirement in Dayton, Ohio and moved to her order’s care facility last month due to declining health. Sister Barbara’s funeral Mass was celebrated Oct. 12 at Salem Heights Chapel in Dayton. Preceding her in death were her sisters, Edith (Agnew) Roat and Precious Blood Sister Anne Agnew. Interment was in the Salem Heights Cemetery.